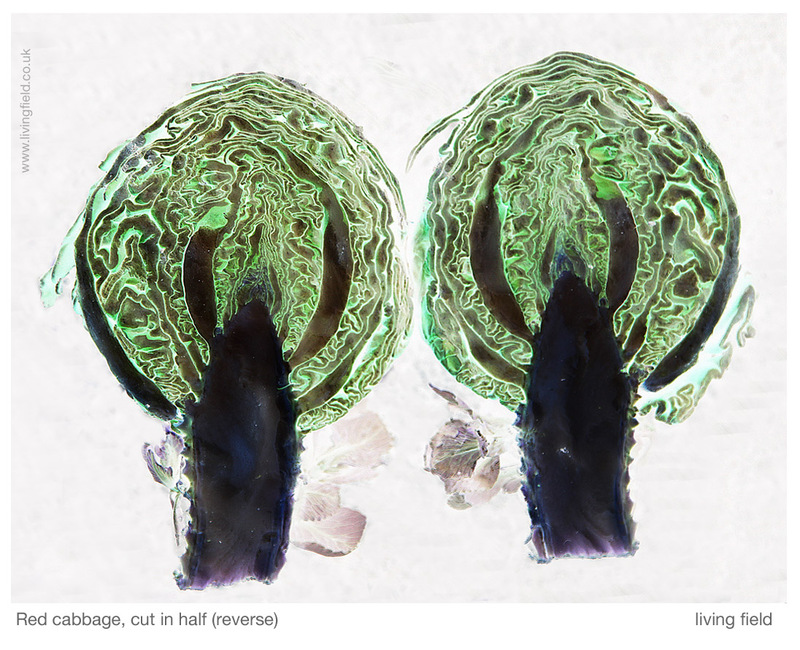 Can we grow more vegetables? Vegetables and fruit in Scotland mapped. Regions of historically strategic land and soil. The Iron Age, then the Romans, Picts and 1700s Improvers. Imports vs local production. Opportunities. 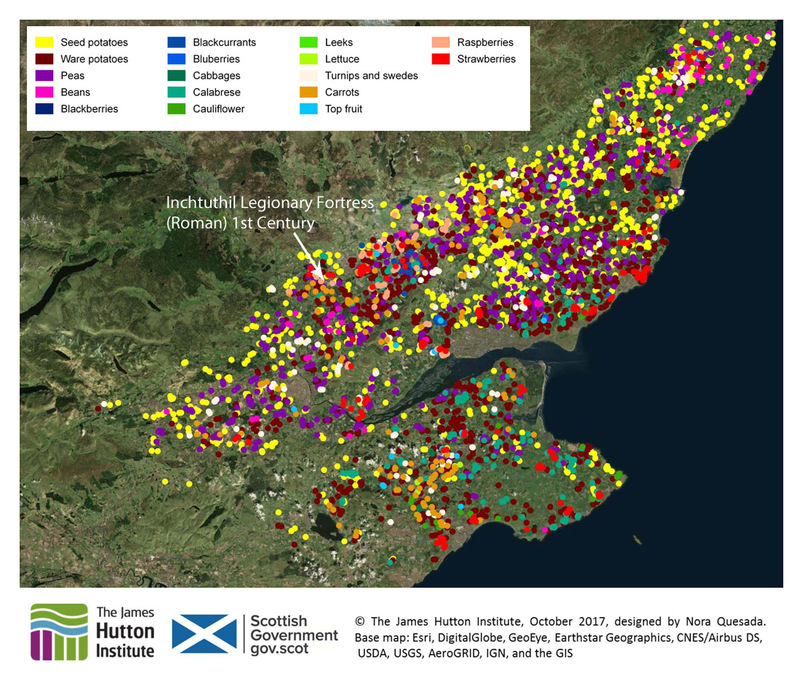 As background to the recent Vegetable Summit, held in Edinburgh, London and Cardiff, Nourish Scotland  asked the James Hutton Institute if it was possible to define the places where vegetables are grown in the region. The resulting map, prepared by Nora Quesada, is shown below. Each coloured dot on the map indicates a field of fruit or vegetables. 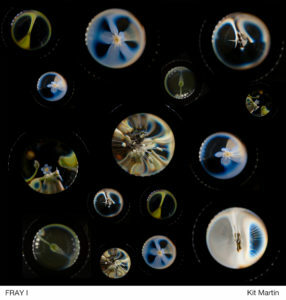 (The dots are much larger than individual fields.) It is clear from the distribution of dots that relatively little land exists in Scotland on which vegetables and fruit are grown. Even in places where the coloured dots are concentrated, the land area covered by fruit and vegetables is generally less than a few percent. Most of the other cultivated land is under cereals, wheat and barley. 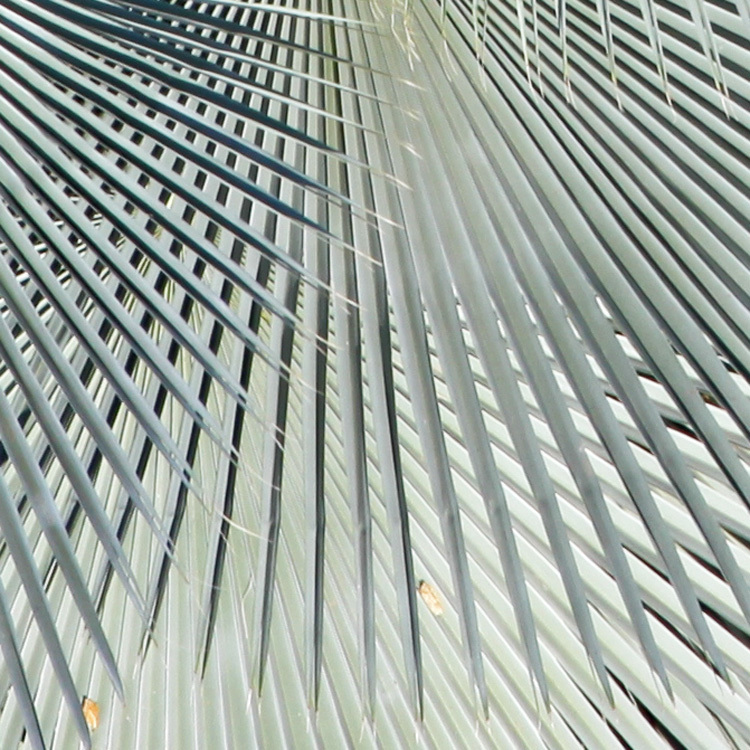 Why do we want to know where vegetables are grown? Questions around diet, health and food poverty at this time of agricultural plenty were raised in a recent issue of Nourish Scotland’s magazine, January 2017, with the title ‘What would Boyd Orr do?’ . John Boyd Orr was a pioneer of research into nutrition in Scotland many decades ago. His work became known throughout the world. The article asked what he would do today faced with the situation that, while vegetables are essential for a healthy human diet, most are imported and fail to reach the people that need them. It is important to know therefore whether more land than shown on the maps can be converted to growing vegetables? For example, how much land would be needed to provide an optimum (rather than minimum) diet for the whole country from local produce; and can the cities be supplied with fruit and veg by the land surrounding them? To answer such questions, it is necessary, first, to know what is grown and where. That is the purpose of the present mapping. 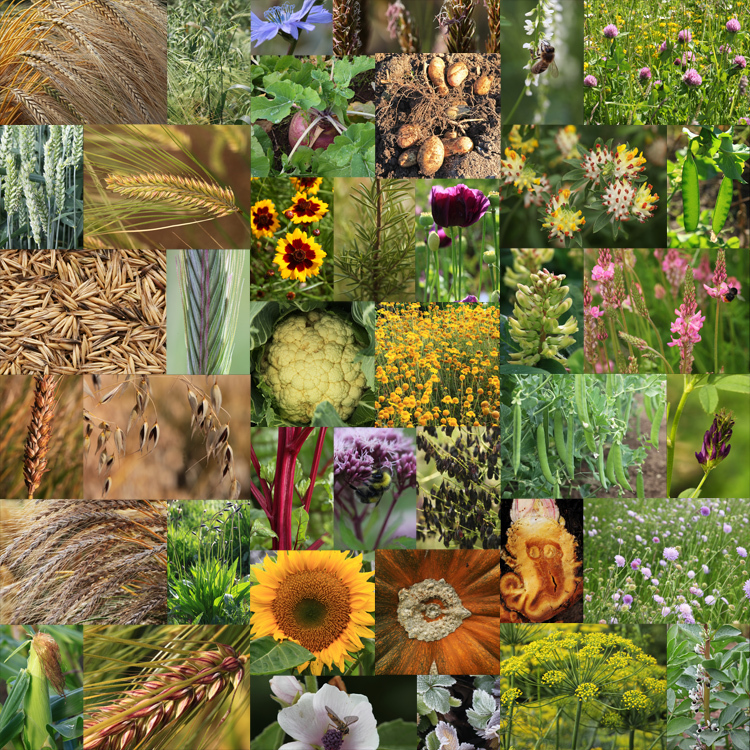 The EU’s Integrated Administration and Control Systems (IACS), which is used to manage farm subsidies, collects data on the crops grown on each field. 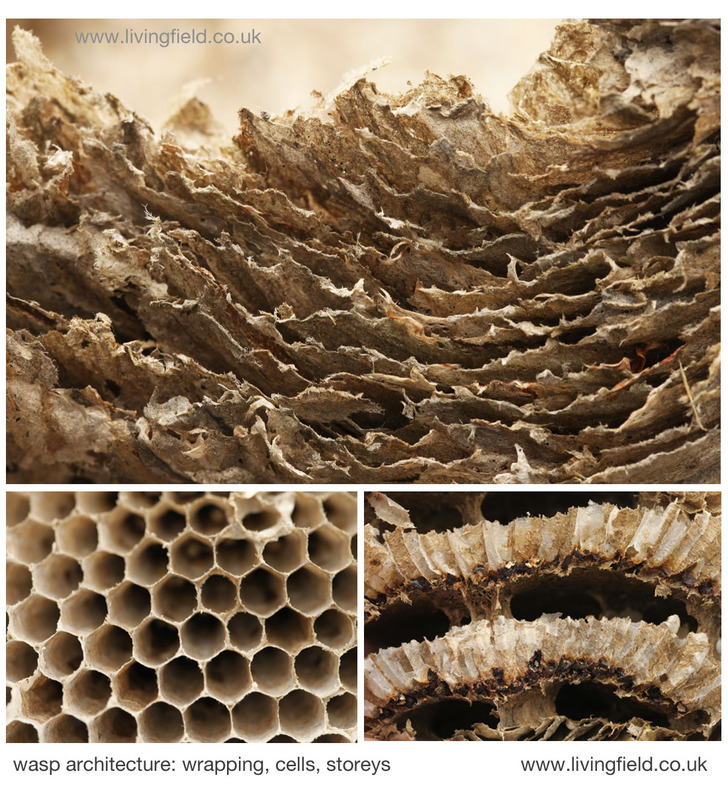 The Scottish Government provided that information to the James Hutton Institute. Each field in IACS is geo-referenced and can be located on a base map that is of high enough resolution to show the outlines of the fields. The IACS reference then allows the fields on the base map to be linked to specific crops in specific years. This is how the maps shown in this article were constructed . The IACS system does not account for vegetables from gardens and allotments and inner city and rural small scale production. There is much activity at these small scales, which we’ll look at in future posts. Here we consider two examples of areas where vegetables are now produced: Strathmore and Angus and then Moray, Cromarty and Tarbat. Commercial growing needs good soil and a not-too-extreme climate, and given the difficulty of finding this combination in Scotland, it becomes apparent that today’s vegetable-producing regions have had strategic importance for hundreds and even thousands of years. 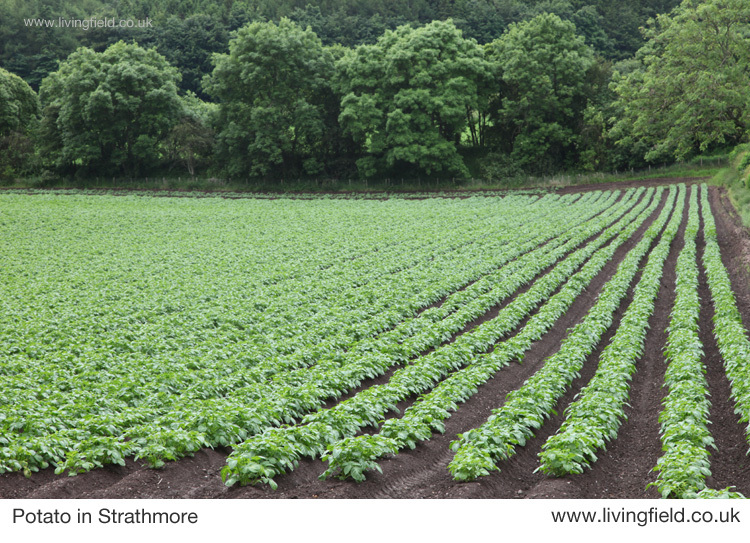 The main area for production of vegetables lies in Strathmore (map below), which stretches over a generally lowland region, from east of Perth and then in a north-east direction to the coast north of Angus. Angus itself is a major source of fruit and many types of vegetable. Across the Tay, parts of Fife are similarly productive. The crops occupying the greatest surface area are still the cereals – barley and wheat – but they are not shown on the map. In addition to potato and a wide range of vegetables, this area is the centre of fruit growing in Scotland – strawberries, raspberries and blackcurrants. 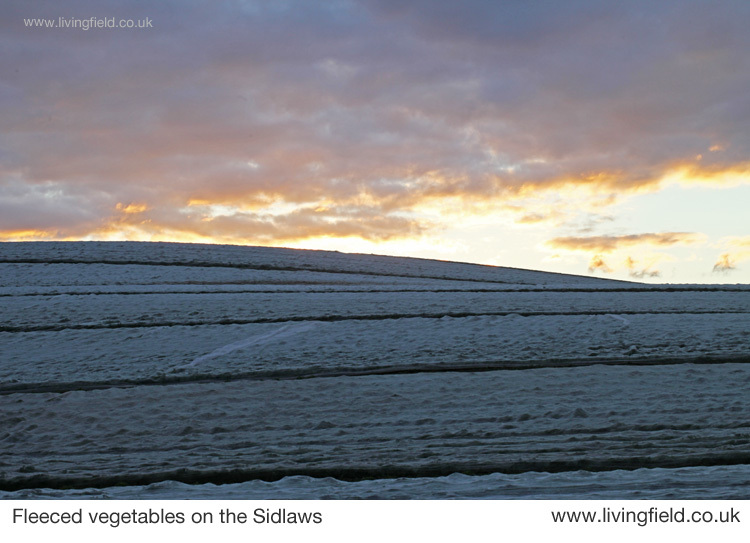 Increasingly in recent decades many vegetables are sown in the field then covered with a protective fleece to encourage early growth and to distance them from pests. Similarly, most soft fruit growing today is under the protection of polytunnels, where again the environment is less severe in winter and pests can be regulated. Strathmore, Angus and Fife showing approx. 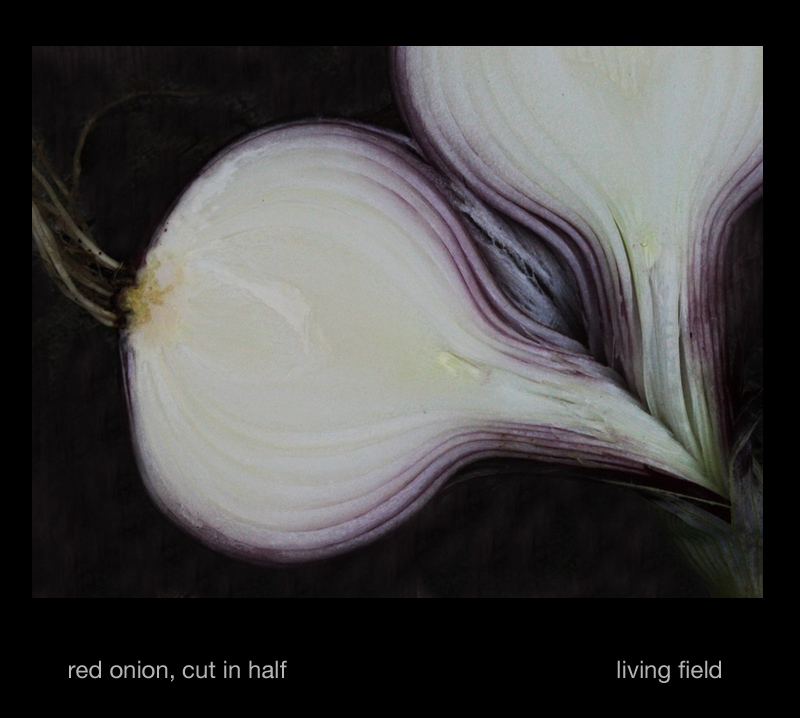 locations of fields growing vegetables in one year. The fertile soils and maritime climate here were of strategic importance to the iron age communities who built their many hill forts along the Sidlaw Hills that form a barrier between Strathmore and the estuary and coast to the south. The famous Dunsinane, or Dunsinnan as it is referred to on old local maps, is one of them . 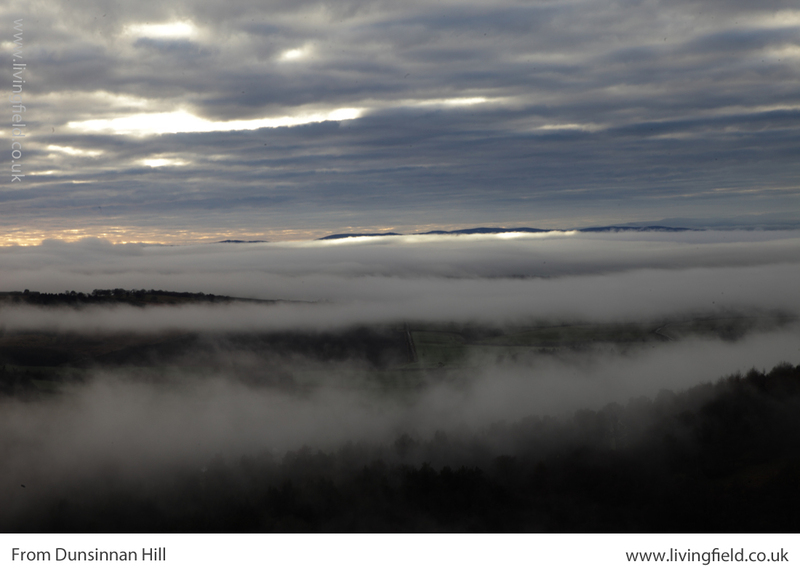 One of the photographs shown below was taken from Dunsinnan, north across Strathmore. Later the Romans invaded, moving north from the region of Hadrian’s Wall, not finding much of a welcome it seems, and erecting forts and watchtowers along the Gask Ridge and in a line just within but near the northern extremity of the cloud of coloured dots in the image above . The Romans’ massive Legionary Fortress at Inchtuthil, within the northern boundary of the strath (see map above), was built and deserted in the 1st Century AD, and was probably sited to guard the passes north along what is today’s A9. The fortress and marching soldiers would have needed constant supplies of food, and probably achieved this by access to the rich land of Strathmore. 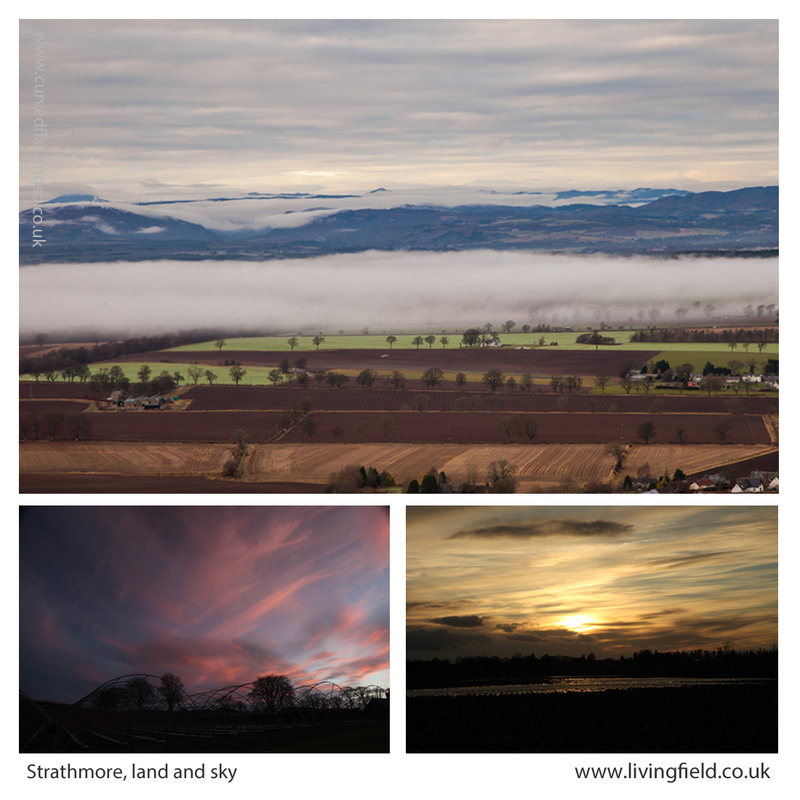 The image at the top of the three above was taken from Dunsinnan early in year, looking across Strathmore. The nearest fields are still in stubble after last year’s harvest; the intermediate ones, showing rich brown soil, have been ploughed; and the green ones just beneath the low cloud were sown the previous autumn with winter cereals or oilseeds. The Roman line stretched this side of the hills. Centuries later, the Picts made this productive region integral to their southern kingdom in the 7th and 8th centuries. Many symbol stones and ‘pit- ‘ place names survive here from that time . Some of the crops grown here today would not be known then – potato, for example, was yet to cross the Atlantic, and the other ‘root’ crops – turnip and swede – were probably unknown. Yet Strathmore, Angus and Fife would have offered enough agricultural land to feed this civilisation with its basic grain and protein. You can see it was a prize that other peoples would want to take for their own – the Scots moving across from Ireland would have found little land of comparable quality on the west coast. A hundred miles directly north of Inchtuthil Fortress, across today’s passes of Drumochter and Slochd, the land falls to the coast and becomes productive again. The area (map below) grows fewer types of vegetable today than Strathmore, but grain and tuber yields remain high. Andrew Wight visited the area as part of his survey of the Improvements in the late 1700s, but the rich coastal land here has a historical legacy stretching back centuries. The map above shows the area around the Cromarty and Moray Firths, the Moray coast stretching to the right and the Black Isle left of centre. 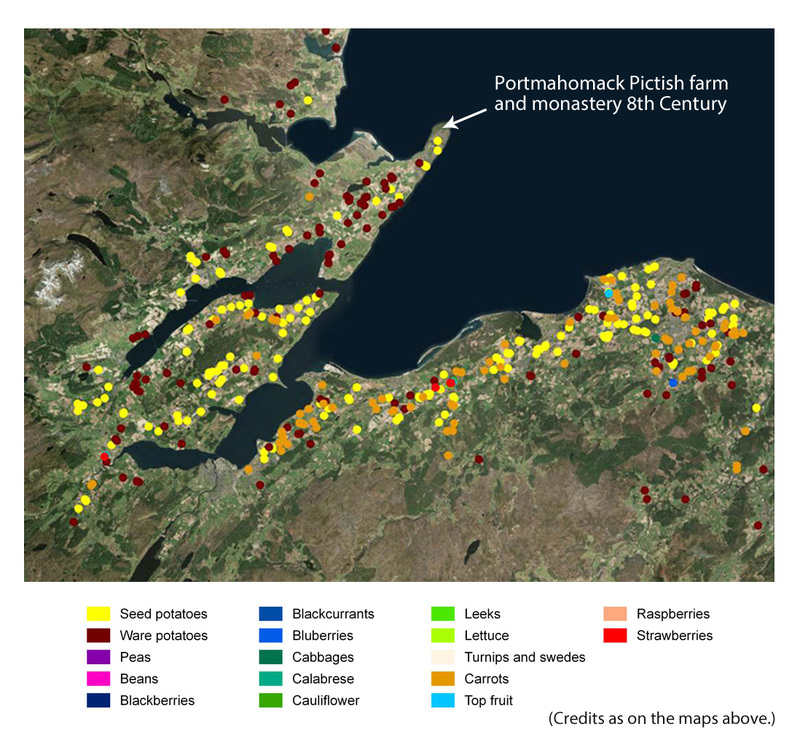 The northern Picts established their ‘elite’ farm and monastery at Portmahomack on the northern tip of the Tarbat peninsula. Their massive carved stones, at Nigg, Cadboll and Shandwick, were major contributions to European art. They arose within a civilisation based on the stability afforded by this good agricultural land . 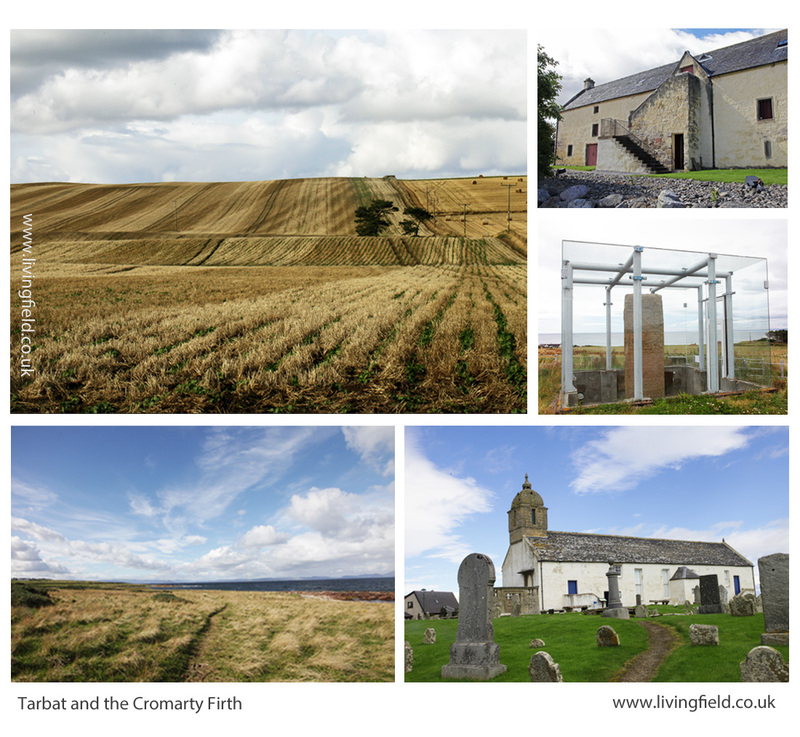 As for Strathmore, the rich soil around the Dornoch and Cromarty Firths must have been eyed by the Scots from the west and the Norse from the east. Pictish civilisation, with its distinctive art and craft, did not survive. The maps derived from IACS data show the extent of vegetable growing today. Vegetables and fruit could be grown over a much wider area and a much higher density if the demand was there. For example, the pulses – beans and peas – plants that fix their own nitrogen and so save on mineral fertiliser, have been reduced to a minor crop. The IACS map shows concentrations of peas and beans in the Borders, but overall the pulses cover less than 5% of the arable land. This is low by global standards. Countries that have transformed their agriculture in recent years now assign a quarter of their land to nitrogen-fixing crops. Developments towards greater veg and fruit production and nitrogen fixing pulses will not be just though existing growers expanding their production. There are many local initiatives, some in areas considered inhospitable for vegetables. There is great scope therefore for increasing production but the demand for quality local produce has to be there from consumers. Future posts on this web site will look at the value of fruit and veg to health, the degree to which Scotland depends (and it depends a lot) on imports for its fruit and veg, the new vegetable products that are appearing on the market (including beer and bread from beans), the increasing local initiatives in veg production and the possibilities for growing much more fruit and veg and making it available to those who need it. 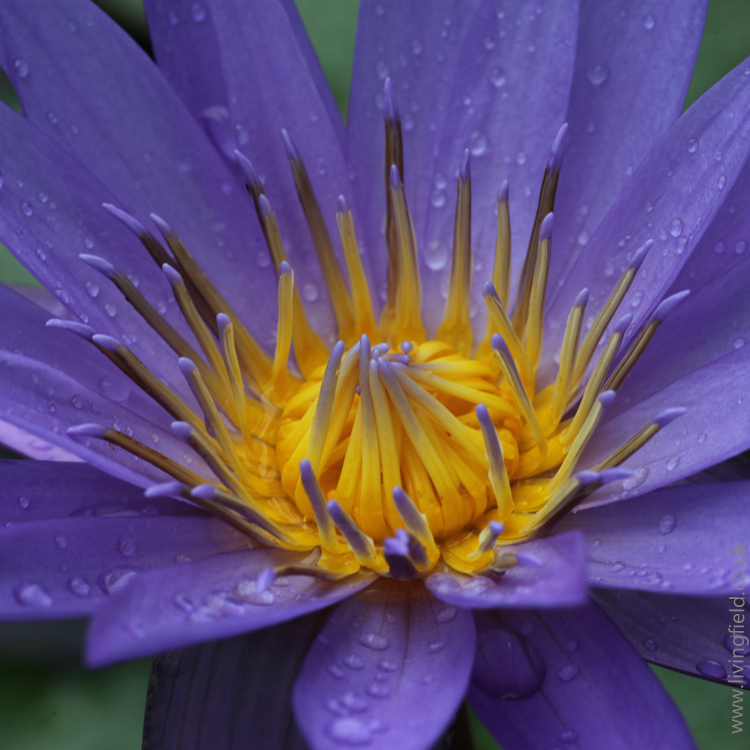 Next up –Veg at Bangkok markets, Thailand and Minerals and vitamins from vegetables and fruit. 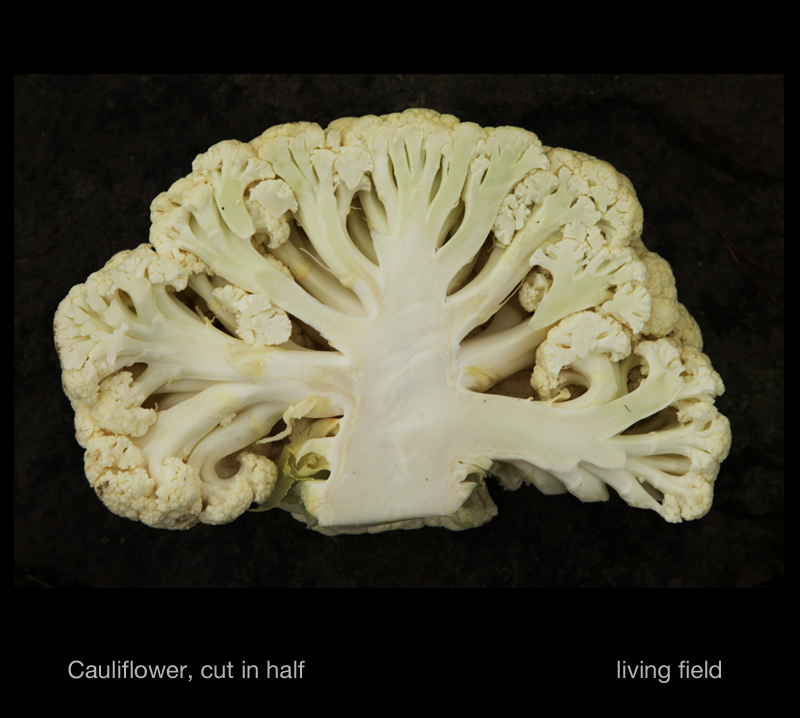 For the Living Field’s experiences with veg growing, see Vegetables in the Living Field Garden. For some health benefits, see Cornbread, peas and back molasses and 2 veg to pellagra. For random posts on pulses (peas and beans), see Feel the pulse, Peanuts to pellagra and Scofu: the quest for an indigenous Scottish tofu. Nourish Scotland: The Vegetable Summit was held on 24 October 2017. For background see Peas Please – the Veg Project. What would Boyd Orr do? Nourish Scotland Magazine, Issue 6, January 2017. The link is to a pdf file. The article by Pete Ritchie explains John Boyd Orr’s contribution and his continuing relevance today. Other articles cover diet, food poverty, vegetables and right to food. IACS and map construction. Information of the Integrated Administration and Control System IACS scheme can be found at the web pages of the European Commission and the Scottish Government. 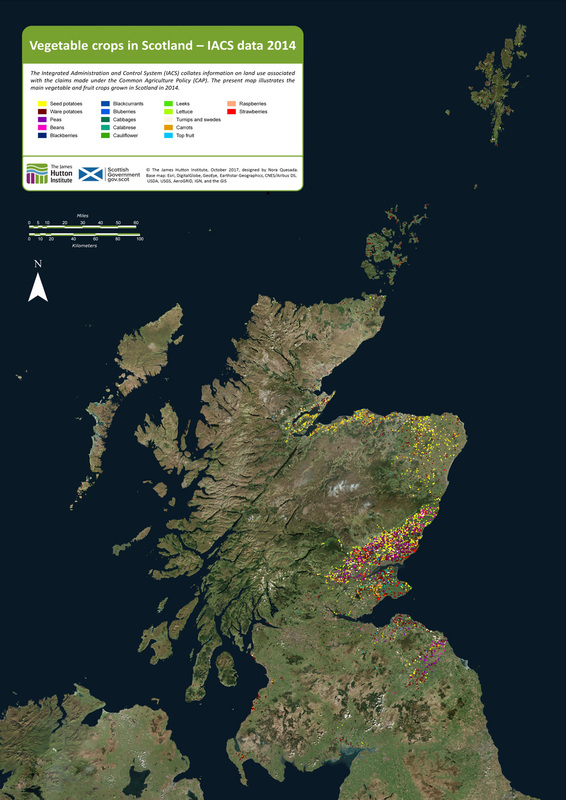 Examples of a major exercise in mapping based on IACS data are given in a CAP Greening Review carried out by the James Hutton Institute for Scottish Government, published 2017: for links to the multi-part documentation, see CAP Greening Review on the SG web site; the section on mapping is Part 3 – Maps by David Miller, Doug Wardell-Johnson and Keith Matthews. 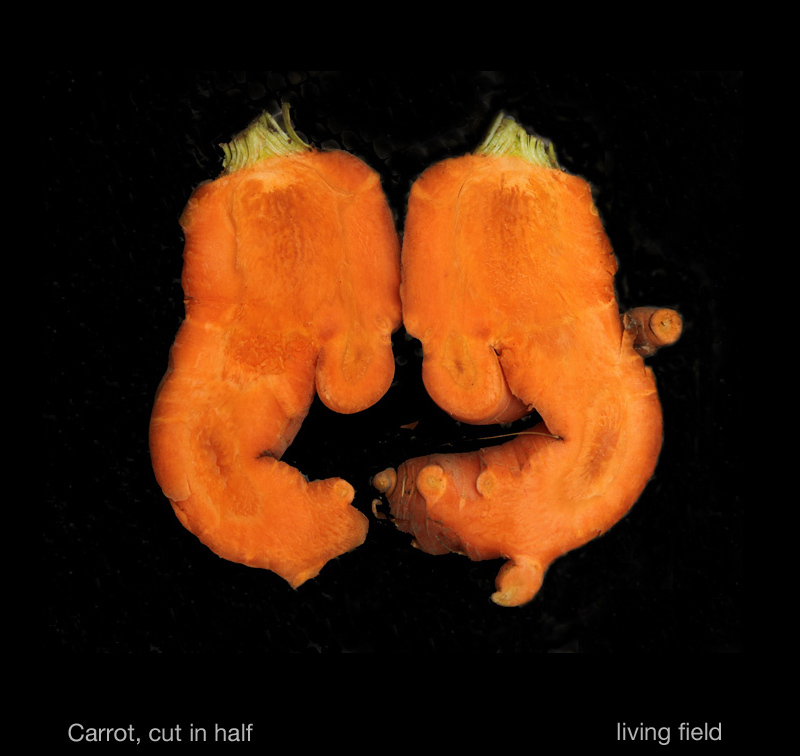 Maps of vegetable growing produced in the present article were prepared by Nora Quesada. The exhibition Roman Empire – Power and People in 2015 at the McManus in Dundee was an invaluable introduction to life at the northern limits of the Roman Empire. The LF article Feeding the Romans gives some background on the land use around the line of fortifications along Strathmore. For comprehensive coverage of this northern Roman frontier: Woolliscroft, DJ, Hoffmann, B 2006. Rome’s first frontier – the Flavian occupation of Northern Scotland. The History Press (reprinted 2011). Carver, Martin (2016) Portmahomack: Monastery of the Picts. Edinburgh University Press. (2nd edition). Excavations of the farm and monastery are described. 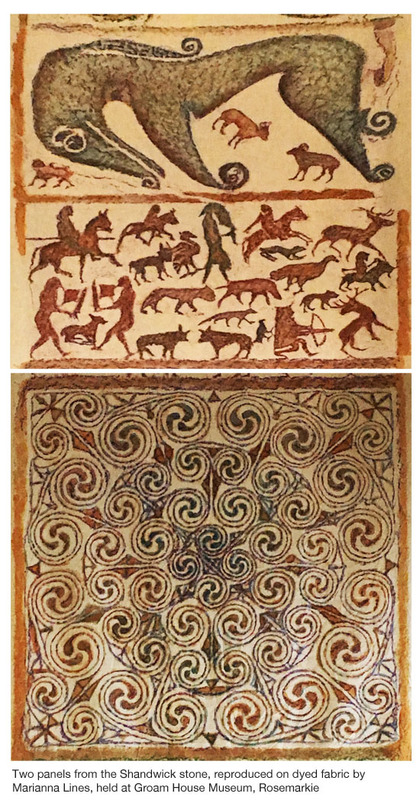 The Picts, flourishing between the 600s and 900s were part of a wider European culture . In their travels, they most likely imported various plants for use as food and medicinals, yet very little other than remnants of grain have survived. Maps in the book show the location of pit- place names. For Andrew Wight’s note on the innovative growing of carrots by the Cromarty Firth in the 1780s, see Great Quantities of Aquavitae II on this web site.